WhatsApp Messenger is almost available for every countries but it is not still available for some of them. The application can be downloaded from App Store from 109 countries at the moment. However people from other countries are getting This item isn’t available in your country error while they try to download it or they are getting this problem through a message on their screen. We are going to provide a solution for you for this problem on here. It is simple and basic and you will fix this annoying problem of Google Play in a few minutes. You can ask us anything regarding this download problem on this page via commenting. Let us begin to tell you how to fix this problem. See Also: Is WhatsApp Available for Acer F900? WhatsApp isn’t Available in Samoa? You will need to do following steps on your Android device first. Firstly tap on settings on your phone. > Then tap on Security option from the list. > You will also see some options in this section, you will need to enable Unknown Sources. Please make sure that this option enabled on your device and close settings page. Now you will download the WhatsApp from WhatsApp’s official website. Then open your Google Chrome or Android Native Browser > Go to official download website of WhatsApp. (It is not Play Store, It’s WhatsApp’s official website.) You can click here for download WhatsApp Messenger. > Tap on Green Download Button. Your device should use Android 2.3.3 OS at the least to run this application on your device. If you are using an older version of this OS, you won’t able to install it at all. 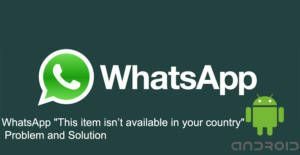 If you cannot install WhatsApp to your device because of “This item isn’t available in your country” error, you can feel free to ask us with commenting this page. I am from Samoa and I am getting “This Item Isn’t Available in Your Country” message while I want to install the application to my Android phone. 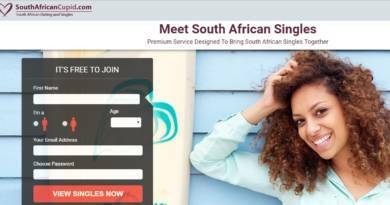 My friends are using the application. We are very surprised to have this error. I wasn’t expecting something like that. I am using Galaxy S4. Can you help me about this? Welcome to How to Chat Online and Q&A service. I am sorry for your trouble. It is very hard for me to answer if WhatsApp is available in Samoa or it is not. However users can face with the error that you have mentioned above at times and it is easy to resolve this problem since WhatsApp always provides download sources from the official website. However you will need change a few settings before you download the source. Then click here to go to WhatsApp Android Website and tap on download.